"There's an inevitability to health-care reform," Tom Daschle said, the first time I ever heard him talk about the subject. "The question is, how good will it be?" That was on Dec. 14, 1993, when Daschle was still a relatively junior member of the Senate. He was standing before a skeptical business group in Watertown, S.D., trying to explain the complicated plan that First Lady Hillary Rodham Clinton had put together back in Washington. Since then no other solutions have emerged. On the contrary, the problem has only gotten worse, with the number of uninsured Americans rising, along with soaring health-care costs. Fully 15% of the nation's economy now goes toward health care, while nearly 50 million Americans lack coverage. All the while, Daschle, now 60, has continued to work on and speak out for health-care issues. "There is no doubt that some Americans have access to the best care anywhere, but not all care is excellent," he wrote in a report for the Center for American Progress, a liberal think tank, in 2005. "Thousands of people die from medical errors every year, and the odds of surviving some kinds of cancer or getting vaccines are lower here than in many other nations. Furthermore, we are falling behind in basic health measures such as life expectancy and infant mortality. When considering factors such as access, funding and quality of care, the World Health Organization ranked the U.S. health system as only the 37th in the world." It's hard to imagine a more useful ally for Obama to help lead his bid for health-care reform, both because of Daschle's understanding of the legislative process and for his belief in the new President-elect. His years on the Senate Finance Committee, which has jurisdiction over the Medicare and Medicaid programs, will also serve him well at HHS. Daschle  who rose quickly through the Senate ranks to become the Democratic leader in 1995  was defeated for re-election in 2004, the same year that Obama came to the Senate. But the two have since become close. Daschle's former chief of staff, Pete Rouse, went to work in the same role for the freshman Senator from Illinois and was invaluable in helping him learn the arcane folkways of the Capitol. Obama once told me, "My chief of staff in the Senate, Pete Rouse, Tom Daschle's old chief of staff, is as well connected and well known and as popular and as smart and savvy a person as there is on Capitol Hill." There is some speculation that health-care reform in the Obama Administration will have to take a back seat to fixing the economy. Daschle has argued that one can't happen without the other, and his selection suggests that Obama agrees. But Daschle also knows from experience that health care is one area in which Obama's mantra of change has always been a hard sell. 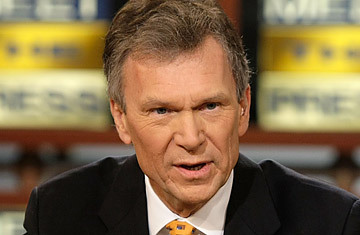 Shortly after the 2006 election, Daschle met with Obama at Tosca, Daschle's favorite Italian restaurant in downtown D.C., and urged him to consider running for President. "My message to Barack was, 'Don't always think you will have another shot.' " In his own pursuit of health-care reform, however, another shot is exactly what Daschle has been given.